Bengaluru, OCt 27, 2017 : The tentative timetable for 2018 Secondary School Leaving Certificate (SSLC) and Second Year Pre-University Course (II PUC) final exams has been released. 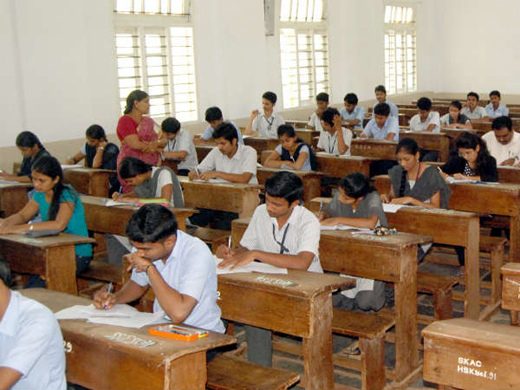 As per the timetable released on Thursday, the SSLC exams will start from March 23 and get over on April 4, while the II PUC exams will begin on March 1 and continue till March 16. In view of the upcoming assembly elections, which are expected to be held in May 2018, the SSLC 2018 exams have been advanced by a week. The II PUC exams will be over in just 16 days this time. Minister for Primary and Secondary Education Tanveer Sait said the results for both SSLC and PUC exams would be announced before April 30, and teachers for exams and valuations have already been identified. If training was essential for the poll work, then they would make sure these teachers would get training at the same place where they would evaluate the papers. “We have announced five months in advance so that upcoming polls do not disturb students’ preparation for exams,” he said. Sait also ruled out rescheduling of exams. Separate press releases from the State Department of Pre-University Education and Karnataka Secondary Education Examination Board have also invited objections, if any, from the students latest by November 24.